Are you worried about moving from one place to another? Tired of looking for a removalist who will make it easier? Getting anxious about the financial stress? STOP WORRYING! The best removalists are all here. We network only with skilled and highly professional movers around Melbourne. There are many removalists who make false promises and provide unsatisfactory services. Our Removalists Melbourne team ensures you do not get caught up with such a mover. All the companies we work with are experts in the field and only provide services of the highest quality. When a customer makes an enquiry regarding a move- local or interstate- we go to work to find you a list of comparative and competitive quotes. These quotes are based on your exact needs and requirements. 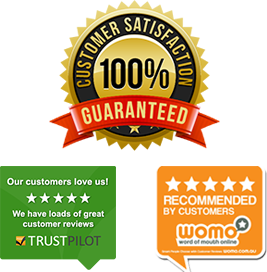 Our removalist suppliers are chosen based on our long experience in this industry and detailed feedback. We ensure all our customers receive the services they are looking for with a view to your budget. Our service extends support and assistance to make your transfer easy and problem free. We understand and work to fulfill the moving needs of our customers. Our service is absolutely free of cost! It’s true that moving involves a great amount of financial pressure and responsibilities. 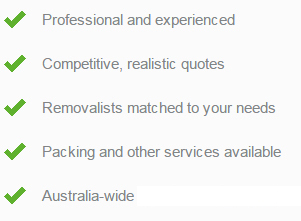 We do not want to add to your budget but only ensure that you get the right removalist. Apart from this, our service means that our customers do not waste time in searching for a removalist. There are many movers in the market and personally contacting each for a quote and details is a long, tiresome and unreliable effort. We aim to make your move easier by providing quotes only from relevant and reliable removalists.